RD-Connect is an EU-funded integrated platform connecting databases, registries, biobanks and clinical bioinformatics for rare disease research. It provides user-friendly tools for data analysis and links different data types – omics (e.g. genomics), clinical information, patient registries and biobanks – into a common resource. By enabling scientists and clinicians around the world to analyse and share data and biosamples, RD-Connect speeds up research, diagnosis and therapy development to improve the lives of patients with rare diseases. RD-Connect is open for data submissions from ERNs and already holds thousands of secure, pseudonymised datasets. Data are linked at an individual per-patient level. Researchers can analyse data, find similar cases and related information such as availability of biomaterials. In collaborations with other EU projects, RD-Connect has already contributed to the discovery of dozens of novel disease genes. 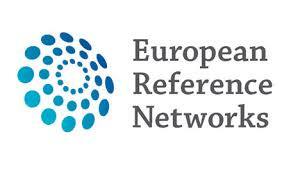 RD-Connect is working together with the European Reference Networks (ERNs) to support them in their research and diagnostic goals. In particular, the RD-Connect Genome-Phenome Analysis Platform (GPAP) can be used by the ERN clinicians themselves to solve their unsolved cases. In 2018 and 2019, as part of the Solve-RD project, the RD-Connect Genome-Phenome Analysis Platform will be used by clinicians and researchers from four ERNs for reanalysis of 19,000 undiagnosed exomes towards diagnosis and gene discovery. GENTURIS, EURO-NMD, ITHACA, and ERN-RND are full partners in Solve-RD, with six more ERNs as associated partners. However, all ERNs are invited to submit their sequencing data and analyse them in RD-Connect, so if you have a cohort of undiagnosed patients with NGS data you would like support in reanalysing, we would love to hear from you! In July 2018 the new RD-Connect Community was launched. This is an international association of individuals and organizations who would like to participate in shaping the rare disease field, promote data sharing and reuse and advance research. Membership is free of charge and open to organisations, research groups and individuals from diverse backgrounds, engaged in rare disease research anywhere in the world. Several ERNs have signed up as members, but we would be delighted to receive registrations from individual healthcare professionals HCPs and research groups. Interested in joining? Fill out the registration form to become a member! For more information about the RD-Connect Community, please click here. Together with the ERN EURO-NMD, RD-Connect is organising a series of webinars aiming to train ERN members at all levels. The webinars will let you learn how the RD-Connect tools can help you in your everyday work. If you are interested in any of the webinars below, please register with your email address to be sent the final details and a link to access the webinar. Registration is non-binding but allows us to send you the details and helps us estimate the number of attendees. Precise times for the webinars will be confirmed later in August on the RD-Connect website and to everyone who registers via the link below. In this webinar, you will learn how to use the powerful and user-friendly analysis tools in the GPAP to interpret, filter and prioritise your variants to identify disease-causing mutations and help diagnose your rare disease patients. The system also allows you to compare your data with data submitted by other members of the RD-Connect community, and further afield, to find confirmatory cases for your candidate variants. This webinar will demonstrate how to use two tools that will help you quickly identify patient registries in Europe and beyond that hold data on your disease of interest. They also let you find rare disease biobanks and browse their sample collections, with detailed information about each individual sample. The webinar will explain what makes data Findable, Accessible, Interoperable and Reusable (FAIR) and why it is critical that different types of information, such as medical records, clinical and phenotypic data, test results, sequencing data and biosample details are made FAIR at the source. If you are interested in any of the above webinars, please register and you will receive the link to the webinar by email closer to the date. Please register here.